“I would first like to say that the newly elected Pope Francis was mentored by one of our priests, Stepan Chmil who is now buried in the basilica of St. Sophia in Rome. Today’s Pope, during his time as a student of the Salesian school, awoke many hours before his classmates to concelebrate at our Divine Liturgy with Fr. Stepan. He knows our Tradition very well, as well as our Liturgy. 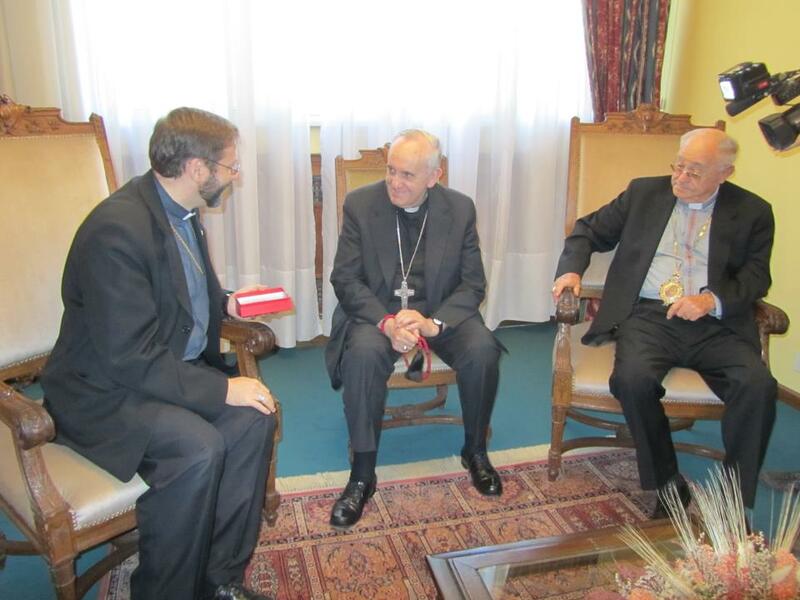 In regards to the personality of the new Holy Father – he is an incredibly modest person. For example, as archbishop of Buenos Aires, he never relied on his own automobile, rather relying on public transportation, always in simple clothing. He mostly stands out in his enormous care for the less-fortunate, visiting the most impoverished neighborhoods. He is a person, I would say, of great pastoral foundation.